This Five Spice Christmas Kombucha combines all the traditional Christmas flavours together into one cheery bottled beverage! The perfect holiday treat! And doubles a delightful, special home-made gift too. 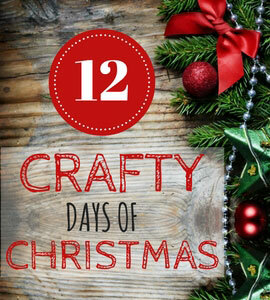 Wrap a pretty ribbon or hessian string around the neck of the bottle tying in a little cinamon stick or star anise for decor and that extra special touch. Kombucha is a traditionally fermented tea that is extraordinarily rich in beneficial bacteria – those same bacteria that help to support gut health and immune system function. 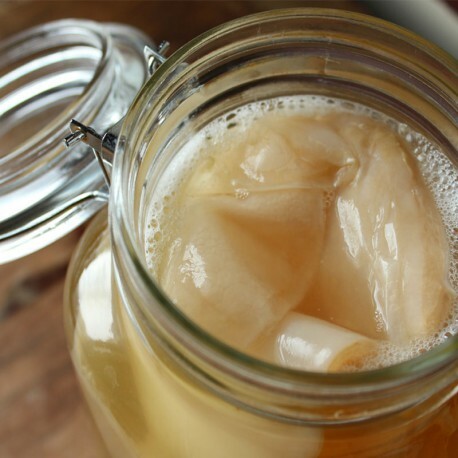 Kombucha is very easy to brew at home, all you really need to get started is a SCOBY (symbiotic colony of bacteria and yeast). 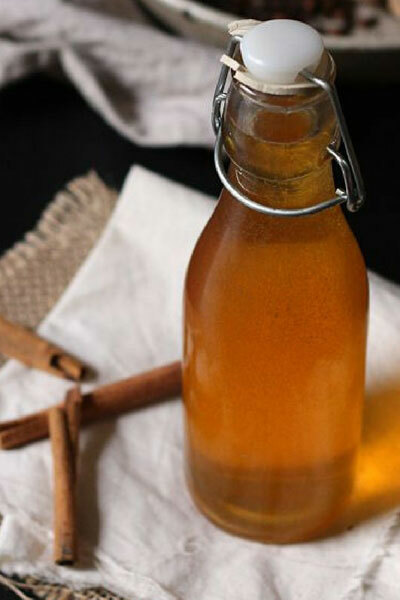 This lively, fermented fizzy probiotic beverage which is faintly tart with hints of apple cider and is quite simply made by brewing tea (black or green) with sugar and then adding a SCOBY which then turns the sugar into healthy bacteria while being left to ferment for 7 – 10 days, or longer depending on the temperature inside your house and how you want the kombucha to taste. Once you’ve prepared your first batch of kombucha tea, you’ll notice that it is flat and not fizzy like the kombucha which you buy in health food shops and supermarkets. This is because during the initial fermentation of kombucha the gases that build up during fermentation, such as carbon dioxide, tend to escape. In order to produce a fizzy and foamy kombucha, those gases need to be contained during a second fermentation. After the initial fermentation, the kombucha tea is strained, after which you can either drink it straight away, or do a second fermentation. Secondary fermentation of kombucha creates the opportunity to flavour your kombucha by adding flavourings such as purees, chopped fruits, juices, herbs or spices. This second fermentation works to remove more sugar from the tea, develop the flavour, and also creates the slightly fizzy, foamy end product we love so much. Place the lid on and seal, and leave for 1 - 5 days on the counter-top out of direct sunlight. Open the bottle carefully over the sink as it may foam and sample the taste of the kombucha after a day or two to see if it tastes good to you - if you prefer a more developed taste leave a few days longer. Once the kombucha is to your taste, strain the kombucha through a fine mesh sieve and add the liquid to a clean glass jar or a large 750ml flip top bottle (or smaller bottles) and place in the fridge. Enjoy well chilled, and served over ice cubes.